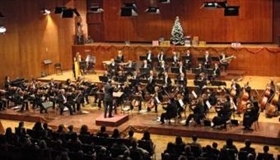 Austrian Musical Weeks event opens in Bulgaria for 14th time. The musical festival this year (April 22 - May 21, 2010) takes place in the Old Town of Plovdiv and another 6 cities and is dedicated to Gustav Maler. The festival has been organized with the supervision of Bulgarian Culture Minister, the famous sculptor Vejdi Rashidov, and the Austrian Ambassador to Bulgaria, Gerhard Reiweger.